At just over an hour from my home in Jaen province Cordoba is a frequent day trip and often an overnighter too. The Casco Historico I know pretty well, but not so the new sprawling town, which is where the train station is. If you’re heading to Cordoba by car there’s lots of on-street free parking on the other side of the bridge from the main monumental area. Crossing from this side makes a great start to a visit, walk across the Roman bridge that straddles the River Guadalquivir. Although called the ‘Roman bridge’ what we see today is mostly an Islamic re-construction built on the ruins of the 1st century Roman Bridge. As you pass over the 9 metre wide 247 metre long bridge into historical Cordoba a first glimpse of the incredible Mezquita is in front you and the Royal Fortress or to give it its full name – Alcazar de los Reyes Cristianos (Castle of the Christian Monarchs) to your left. Both are must visits. The Mezquita, an enormous Islamic Mosque has a huge orange-tree-filled courtyard with a minaret tower and an enormous prayer hall. If you can, go at the beginning or the end of the day to it’s appreciate its size and splendour in almost solitude and silence. Visit the Alcazar fortress and palace with beautiful Moorish design gardens and a great many Roman mosaics recovered from the Plaza de la Corredera. Adjacent to the fortress in the Royal Stables where Andalusian horse shows are regular features. Do try and see one if you can, horse lover or not it’s an incredible display of human and animal interaction which I thoroughly enjoyed. For garden lovers the Cordoba Patio or Courtyard Competition at the beginning of May, is a glorious riot of colours and great time to visit. Many private patios are open to the public for two weeks while the competition is on, some are open year- round and you can have a guided tour instead of trying to find them yourself with a map. The range, style, design and flowers of these, unique, patios are stunning, even my non-gardener, flower-ignorant hubby enjoyed it. Although I only took him once, each year would be pushing it! Some of these historical patios give a glimpse into the past, with tiny patios, wells, communal wash rooms it’s easy to imagine neighbours sitting out in the cool of the night singing and dancing flamenco. In recent years some of the patios have opened over Christmas and New Year too. One of my favourite spots for coffee, if the weather is fine, is the amazingly large Plaza de la Corredera. Some spots like this can only be seen on foot or possibly by Segway. I have done a Segway tour (great fun when you learn how to stop) and a sightseeing bus tour which we took when we just did not want to walk anymore! I recommend both but enjoyed the segway tour more as we went through the narrow streets (only just avoiding tourists) and saw interesting corners and buildings which we revisted on foot afterwards. It’s a great way of having an overview of the city and getting your bearings. Plaza de las Tendillas is another lovely old square, more commercial than Plaza Corredera with restaurants and not just bars, for another refreshment stop. If you like Spanish Tortilla then you’ll love the enormous ones made in a tiny little bar near the Mezquita – Bar Taberna Los Santos, famous for their tortillas made from 30 eggs and five kilos of potoatoes. Where to Eat near the Mezquita. Stop here for a tortilla tapa and a fino wine, if only to see the size of the Tortillas! Another great eating place is the gastromarket Mercado Victoria in a lovely old forged metal structure dating from 1877. Around 30 stalls provide tapas and rations from Oysters to T-bone steaks. Buy your drinks from one stall and food from others. A lovely way to try lots of different dishes, meat for one, fish for another, and a lively fun atmosphere too. I prefer visiting at lunchtime as the evenings are for the younger crowd and much noisier. One of my favourite visits is to the Palacio de Marquises de Viana or Viana Palace a gorgeous house/museum dating from the 14th century with, you guessed it, lovely patios! In fact there are twelve unique patios ranging from Roman and Arabic to Renaissance styles and the museum is really interesting too. About 6km to the west of Cordoba by Abd-ar-Rahman between 912- 961, a huge, costly and time consuming project. The restoration and Unesco site, Medina Azahara, are the ruins of an Arab palace, more like a city, buildings are ongoing but it’s an incredible eye-opener to the way and wealth of the times. The on-site museum holds many treasures discovered on site and is the first port of call, then you take the bus up to the ruined city. You can park at the museum, but can’t take cars up to the ruins, a bus runs constantly between the two. There are also buses that run from Cordoba city to the site several times a day, if you don’t fancy the drive. 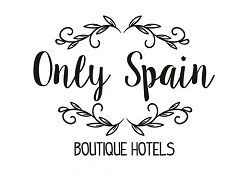 With such a choice of hotel in Cordoba it’s difficult to know where to start, but I’ve got two great suggestions for you – Hotel Balcon de Cordoba and Hotel Viento 10 they are both on our sister site Only Spain ~Boutique Hotels and you’re sure to like one if not both of them. If you have any questions about Cordoba that I can help you with don’t hesitate to leave a comment in the comments box below. We know Cordoba but we have never been in May, maybe the next time… The pictures are beautiful and the information is very interesting. We also have to go to the gastromarket Victoria, must be a great place to eat!! You must definitely go to the gastromarket it’s great!